There aren't enough food, service, value or atmosphere ratings for Yo China Restaurant, India yet. Be one of the first to write a review! As per name its pure Chinese restaurant but i feel the food is ok ok. though the variety is quite good here. 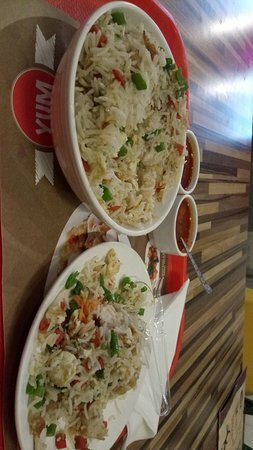 Prompt service and tasty food...ordered the non veg fried rice and it was really tasty... Good portions as well reasonable price .. This is a small outlet. Went there few times with my friends. Taste is very average. Quantity is also not that great. What a lunch we had. We were 8-9 of us and had a ball. Good food, good ambiance, good service... What else you expect. The variety of Dimsums is amazing and so is the taste. Get quick answers from Yo China Restaurant staff and past visitors.